You know you love your dog when...... He is featured in a music video, complete with video vixens and all! Yes you heard that right, 2 Chainz released the video for his song "Not Invited" and none other than Trappy was featured in the video. Actually, we can just say that the French Bulldog was the star of the video and his rap owner was just the added perk. This song was one of his solo projects that was featured on his joint album with Lil Wayne titled ColleGrove. The liquor Hypnotiq actually premiered the video, which was very appropriate considering that the drink was featured throughout the video. That kind of makes you wonder if the rapper has something quietly in the works with the liquor company. 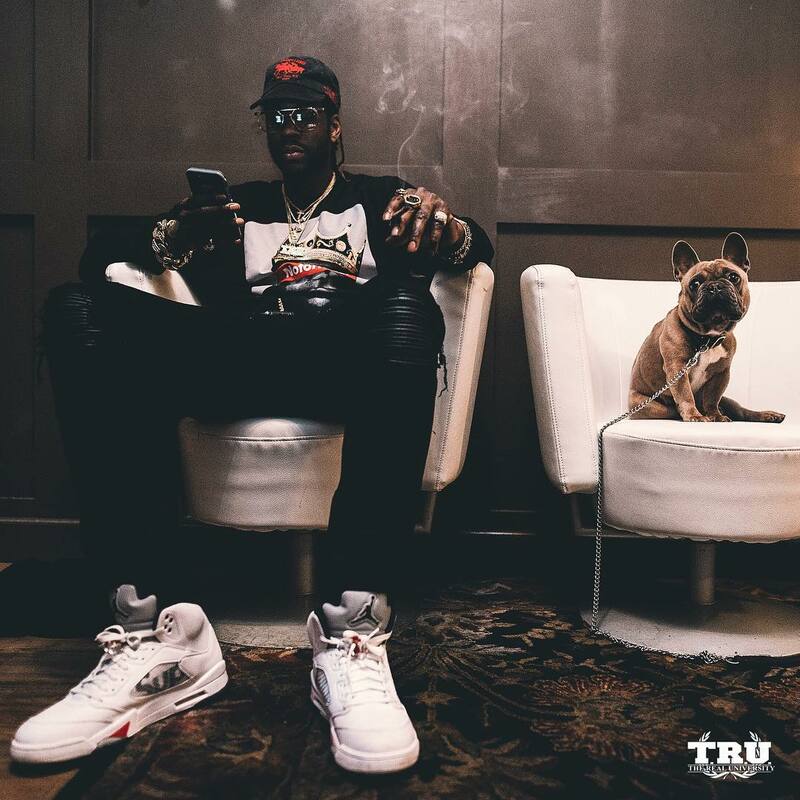 2 Chainz says that "Hypnotiq is iconic" and went on to say, "I don't think realize how important it was and is to rap music culture." 2 Chainz is also in the process of opening a club/lounge called Escobar in Atlanta. The establishment does not have a definitive opening date, however, it is set to open by the end of the summer. Congrats to the rapper, making major moves! Check out the "Not Invited" video below!